← The Skyrim Civil War and How All Wars Defy Easy Morality. Legend of Zelda..Why not Legend of Link? After all, isn’t Link the hero? He is your avatar, the character you play as in every single Legend of Zelda game, yet the Legend belongs to the princess not the hero. To explore this subject, we must first look into some of the underlying themes in the Zelda games, as well as the timeline to discover precisely what role Zelda and Link play in this. First of all, the very name Link as series creator Miyamoto brought up is an obvious metaphor for the link between the player and the character. Link is whoever you want him to be, especially in his early games. Yet as new games have been released, Link has slowly developed a personality of his own, usually one expressed through facial expressions with Wind Waker being one of the most fantastic examples of this. Also, with other games allowing you to create a character of your own such as Elder Scrolls, the appeal of there being a link between Link and the player decreases. Despite that fact, you are Link throughout the games. Zelda on the other hand is an outside force. She might assist you but you never truly control her, save in a few non canon games or in Hyrule warriors. She is a symbol not only for the prosperity and peace of Hyrule but for Hyrule itself. Many times, the King of Hyrule is absent, dead, or powerless, but there must always be a Princess Zelda. The reason for this is that she holds the Triforce of Wisdom. She is the glue that holds Hyrule together. When she is kidnapped, which usually doesn’t occur till near the end of most Zelda games, or more commonly when she is removed from a position of authority everything starts to unravel. While Zelda is always present, Link is often a transient force, whose heroic actions are not always acknowledged. This can be easily seen in the 3 way split timeline after Ocarina of Time. In the adult timeline, Link defeats Ganon and then returns to his childhood leaving behind Princess Zelda. In this timeline, he is known as the Hero of Time, but he is not around to enjoy any fame. In fact, his absence later allows Ganon to rise again. In the second timeline, Link is killed and is only mentioned as one among many knights who fell in the war to stop Ganon. In the third timeline, Link as a child helps bring Ganon to justice but he receives no recognition for his heroics and he never trains a successor. In all three of these, Zelda remains, but Link is only acknowledged as a Hero, a part of the Legend in one timeline and even in that one his memory is marred by later events. This all brings me to my larger point, you as Link is merely a visitor to Hyrule. You arrive in its time of crisis and save Hyrule not so that your legend will be preserved but so the Legend of Hyrule aka Zelda will be preserved. It is no accident that in Skyward Sword, Zelda is a reincarnation of the goddess Hylia. Zelda is the symbol of Hyrule. This can be applied to the real world as well. Are we attempting to make a name for ourselves or are we trying to genuinely make the world a better place? It is similar to how Paul argues that he must be exalted less so that God can be exalted more. To stand for something higher than yourself not for fame but because it is the right thing to do is the very definition of heroism. 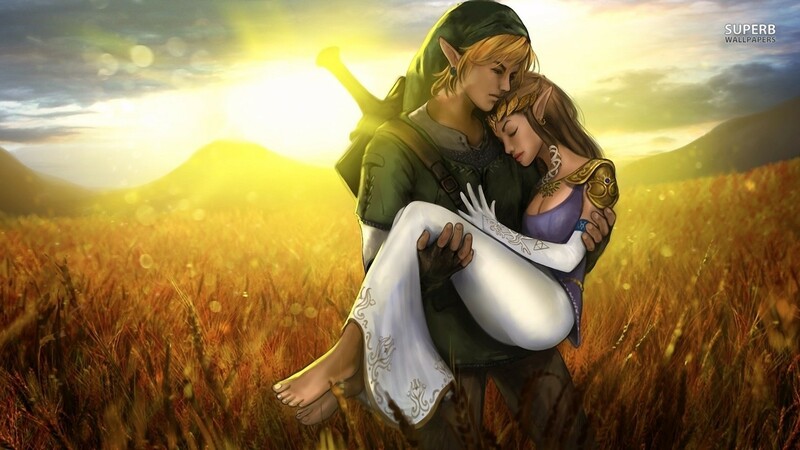 As for the traditional implication that Zelda and Link are meant as a chivalric romance, it’s tough to say. Certain games have more hints than others. I’m okay with it though. Zelda has always been a traditional story in the first place.